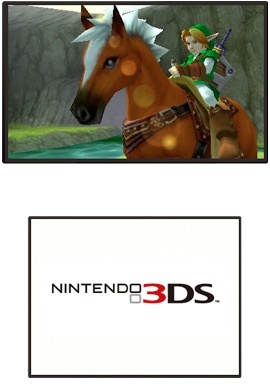 Nintendo Remaking Legendary Zelda: Ocarina of Time For 3DS? If that massive lineup of 70+ titles confirmed for the 3DS didn't win you over, there's at least one game in development that wasn't listed: An apparent remake of the beloved 1998 The Legend of Zelda: Ocarina of Time. Earlier today at the Nintendo E3 2010 press conference, the Big N formally unveiled its 3DS handheld. The most impressive thing about the little platform was its ability to deliver a genuine, glasses-free 3D experience (as experienced hands-on by Escapist editor Greg Tito), but coming in a close second was its apparently-massive library of games. Nintendo revealed a huge lineup of titles in development for the 3DS including big-name series like Metal Gear Solid and Resident Evil as well as old Nintendo classics like Kid Icarus, Star Fox and PilotWings. They seem to have missed one. And it's one hell of a doozy. Sharp-eyed gamers found screenshots on the Nintendo 3DS site that show what is unmistakably a high-fidelity 3DS remake of the legendary Legend of Zelda: Ocarina of Time. This isn't just a port, either - it's gotten a graphical facelift as well, judging by what we can see of Link's decidedly-not-N64-esque face. And seeing as how Ocarina is frequently cited as one of the most beloved games of all time, this could be an incredible system-seller for the 3DS if it's real. Now, seeing as how it hasn't been announced yet, it's possible that this isn't actually a game, but rather a mock-up tech demo to show what the game could look like on the 3DS hardware. If that's the case, though, it'd be simply cruel: Taunting fans with a modern remake of a beloved classic via a tech demo, only never to deliver? What sort of cruel, soulless beast would do something like that?! Representatives from The Escapist's E3 Away Team will be at the Nintendo booth later this week. We'll see if we can find out more.